'The Buried Giant' is one of those novels whose greatness can be measured by the degree to which it changes its readers. It should, in fact, come with a warning - This novel will change the way you perceive the world - beware! Yet, do not be afraid, this book just knocks you sideways and slightly changes your perspective on things, a little shift, perhaps, though mind-bending for all that. At first, this book seems like a simple story, in the genre of fairytale: there is an old lady, Beatrice, referred to as 'Princess', by her husband, the wise and tender Axel. They are on a quest to find their son and meet, on the way, a brave knight, Sir Gawain and his trustworthy steed, Horace, whose mission it is to kill the she-dragon, Querig. There are ogres, pixies and beautiful damsels in distress, it is true; but if you expect that to be all there is to this novel, expect to be mistaken. This is a book like no other. It has a secret, because all of the characters have secrets. They live in a world where memory does not exist. The sleeping dragon's breath is bewitched and while it drifts over the land, those living there lose all memory, of the distant past, and more recent occurrences. So it is that Beatrice and Axel cannot remember their son all that well, and never call him by his name. They know they have a son, but cannot remember how they came to be separated. At first, the reader believes that old age has stolen away their memories. Their neighbours think it is so, and they are no longer allowed to keep candles in their dwelling place, for fear of settling the village alight. But then we begin to realise that even the young, like Master Edwin, apprentice knight, is also plagued by poor recollection. It seems like the worst cruelty of all, to be separated from your own memories. As such, one cannot help but see how the entire story might some sort of metaphor for dementia and Alzheimer's. But Axel and Beatrice wonder if it is not for the best that they do not remember the past, as they are happy together now. What if something bad drove their son away, some argument, some horror? Surely it is better to remain in the dark about such things? Ishiguro cleverly forces us to consider what life is like for someone suffering with chronic memory loss. 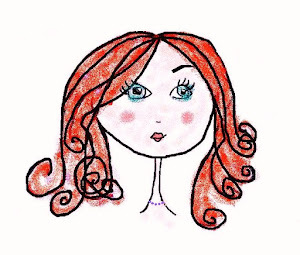 Would it be so bad to live moment to moment, to have to regrets, no resentments, no anger and to feel no guilt or recriminations? Beatrice and Axel have one another. Isn't that enough? The idea is so unexpected, that it sets the reader on edge. We begin to fear for the old couple as they go in search of the past. What will they learn, and will they be able to cope with what they uncover? And then, to add further layers of meaning, there is also the question of what will happen on a societal level, if the citizens emerge from the fog of memory loss; what then? If they begin to recall atrocities that have already been carried out, will they rise up and take revenge? Wouldn't it be best, after all, to let sleeping dogs (or dragons in this case) lie? Who needs to remember all the bloodshed, killings, false deeds of the past? Surely it only serves to prolong hatred and war. Of course, Ishiguro is forcing us to consider today's societies, especially at a time in history where nationalism is on the rise; in Russia, Iran, Egypt etc., and there are numerous anniversaries of past wars on the horizon; Waterloo, Gallipoli and V.E. Day. Are these things better forgotten. The Jewsish people would tell us that we must 'never forget' the atrocities of Auschwitz or Belsen, and I agree. Yet, this book questions the wisdom of such memory, just as it does the usefulness of personal recollection. Is it possible to move forward when historical memory keeps us rooted to a particular spot? It is certainly food for thought. And so we come to consider the book's title; 'The Buried Giant'. More than anything, this novel looks at buried memories and experiences, so the title is most apt. Yet at the same time it cleverly conjures up the context of the text. Perhaps it is a euphemism for a euphemism; the elephant in the room: the things we cannot speak of. Ishiguro seems to be asking the question, 'what are the buried giants in our world, in our relationships?' What is it that we are suppressing in society? Race and gender inequality? Religious persecution and abuses within the church? The guilt about historical injustices, ethnic cleansing and the treatment of indigenous people? And what about the things we suppress in our relationships with our parents, siblings and lovers? Do we really want to go there or should we keep it buried? I suppose, our lives contain a combination of the revealed and the concealed and this is what the novelist is asking us to consider. In his last book, 'Never Let Me Go', Ishiguro creates with a version of our world where people are bred for organ donation. There the title suggest the plea; 'do not forget me, remember me'; whereas here, Ishiguro is considering the things that should be forgotten and buried. As with his last novel, Ishiguro also creates a whole world that is at once familiar and strange. The people live in Britain, believe in Christ. There are priests and monks, but the tale also contains ogres, hags, pixies and creatures that firmly belong in the world of myth and fiction. The language too that the characters speak, is not at all modern, though not unfamiliar to our ears. The writer has taken great pains to make this book 'sound' archaic, from a time before the Anglo-Saxons came to Britain. There is a simplicity to the syntax that we soon become accustomed to; a music that echoes somewhere deep in our consciousness. 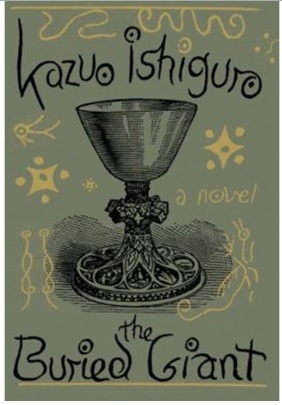 It took Ishiguro ten years to write this novel, but it was surely worth the wait. Like Joyce's great masterpiece, 'Ulysses', that was also many years in the making, this is a book that you will want to read and read again; but be warned, it will demand all of your attention. It will make you think differently, about modern politics, war, memory and truth. You will find yourself pausing in the middle of a page, to consider the definition of collective knowledge; or ponder the value of history books. Be warned,. 'The Buried Giant', WILL change your view of the world, and so much more.